A selection of current seasonal sandwiches x 1. Finger Buffet x 2 portion. Cut Fruit x 1 portion. This Suite is a purpose-built conference and meeting space. The building is well connected, easily accessible from Fenchurch Canon Street train stations, Aldgate underground and Tower Hill DLR station. 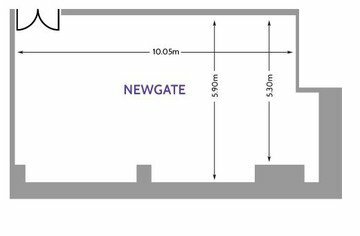 This Suite is comprised of 65 m2 and has varying capacities of: 25 (boardroom), 40 (classroom), 40 (dinner), 75 (theatre) and 23 (U-shape). 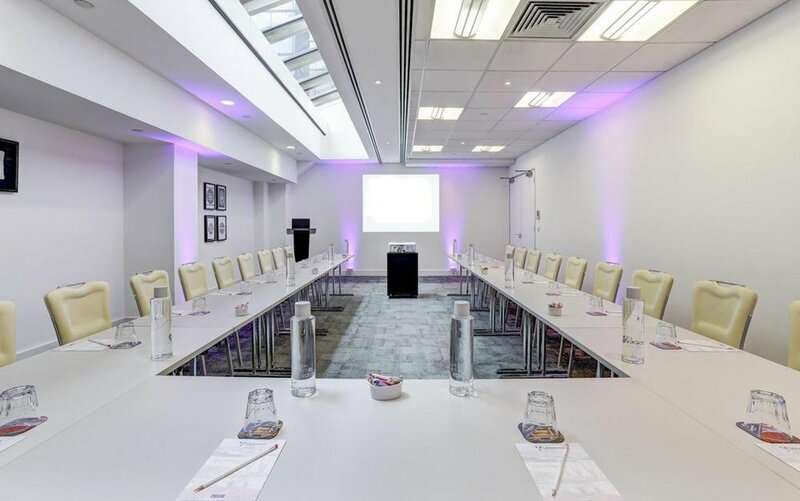 With projectors, podium, PA system and furniture, the facility is suitable for training and conferences, as well as press events and networking. The advertised price includes still and sparkling water, stationary and wrapped sweets for delegates. Full web conferencing, recording and streaming equipment can be arranged at an extra cost. Please note that the advertised price does not include VAT. Hire space in 4 other conference and meeting rooms through Spacebase. Its central location and modern amenities surely make it one of the top locations for corporate events and meeting room hire in London. Hi, mein Name ist Theo Heinis.